Great idea. My question is, if I have a courtesy autographed note (Cabral), can I submit this note and have it holdered in the Cabral Signature PMG holder ? Good morning. Thank you for your message. Unfortunately, we do not do courtesy autographs so we would not be able to notate the signature on the label. The only way we can verify a signature is if that signature is witnessed by a PMG employee. Also, the new signature labels will not be available until next year and they would only be available through select dealers. They would not be made available for collector society members or most dealers. If you have any other questions, you can contact our customer service department at 877-764-5570 or by email at [email protected] Thank you! This is the note. It’s in a PMG holder with “Courtesy Autograph” noted on the holder. 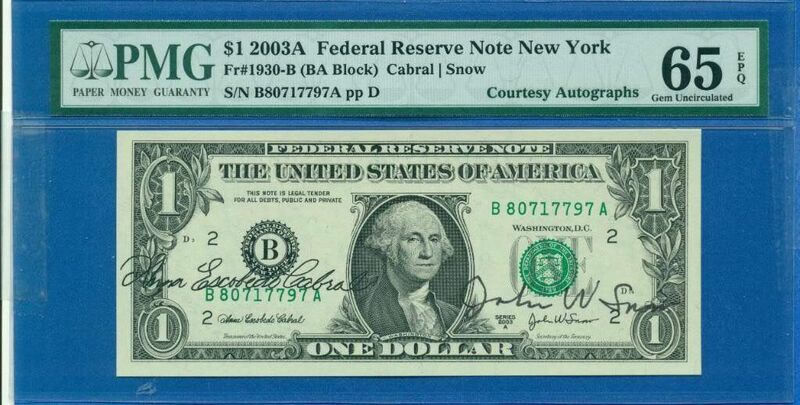 Could I forward this note to one of the authorized dealers to be placed in a PMG Cabral signature holder ? Clearly this note was autographed before PMG was in business, and it has a Courtesy Autograph notation. We have not done courtesy autographs for a number of years. We did do them in the past but our graders have since decided that we cannot do them as we have no real way to verify those signatures. Ok, I understand, PMG no longer adds Courtesy Autograph unless witnessed. Back to my original question. Am I able to get my courtesy autographed note into Cabral signature holder if submitted by a an authorized PMG dealer ? Is this the correct venue for this question, or should I contact Miles directly ? The labels are not yet available but when they do become available it will only be through select dealers. I do not believe we have a finalized list yet for which dealers will be offering these labels. You will want to just check back with us here or you can check our website for an update when it gets closer to the end of the year. Thanks for the help and information Jennifer, I appreciate it. Is there any update to the Cabral autographed labels ?? Good morning. 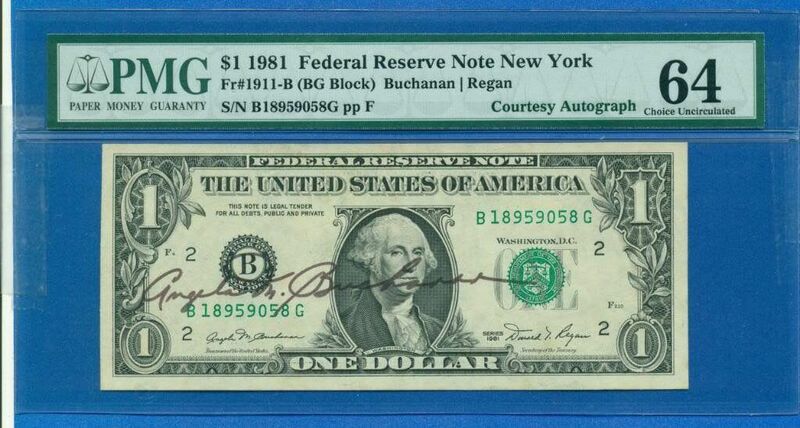 Currency with her signature is available for grading with this label for $12, however, these are only being done in bulk submissions of over 100 notes or more. To be clear, are you saying all 100 notes would have to be submitted for the Cabral signature ? Or, will PMG will do a single note when included with a 100 note submission ?